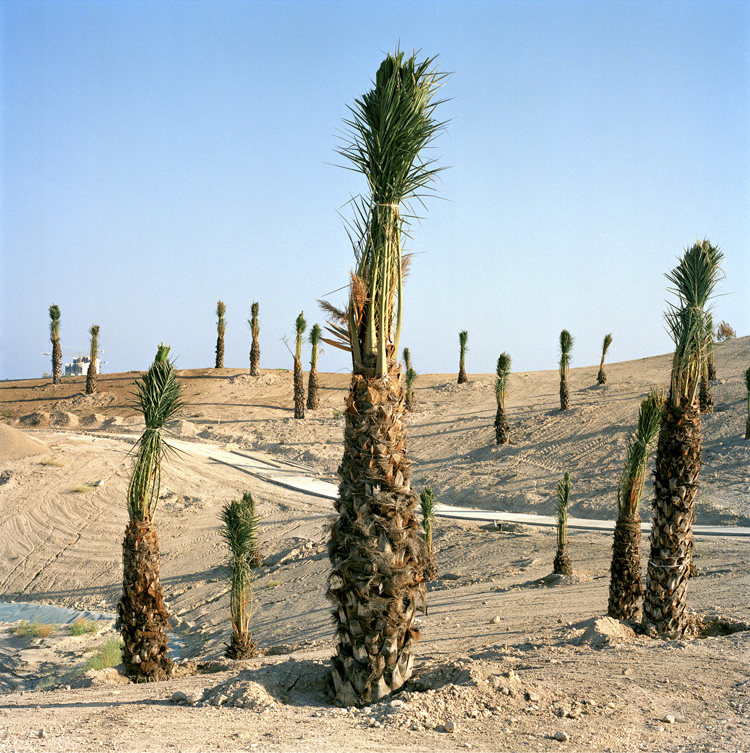 © Robert Harding Pittman, E311 Freeway – Emirates Road | Dubai, UAE. 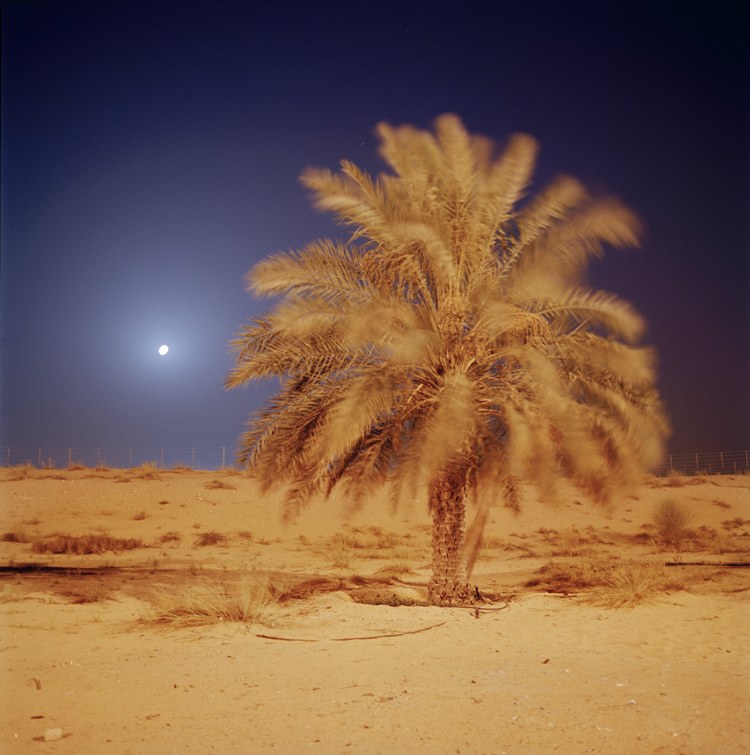 Filmmaker and photographer Robert Harding Pittman grew up in Boston and Hamburg and continues to live between the USA and Germany. After earning his undergraduate and graduate degrees in environmental engineering - an area of concern that continues to inform his work - he received an M.F.A. in Photography and Film / Video at the California Institute of the Arts (CalArts). His main interest is how different cultures interact with the environment and how they manage "development." 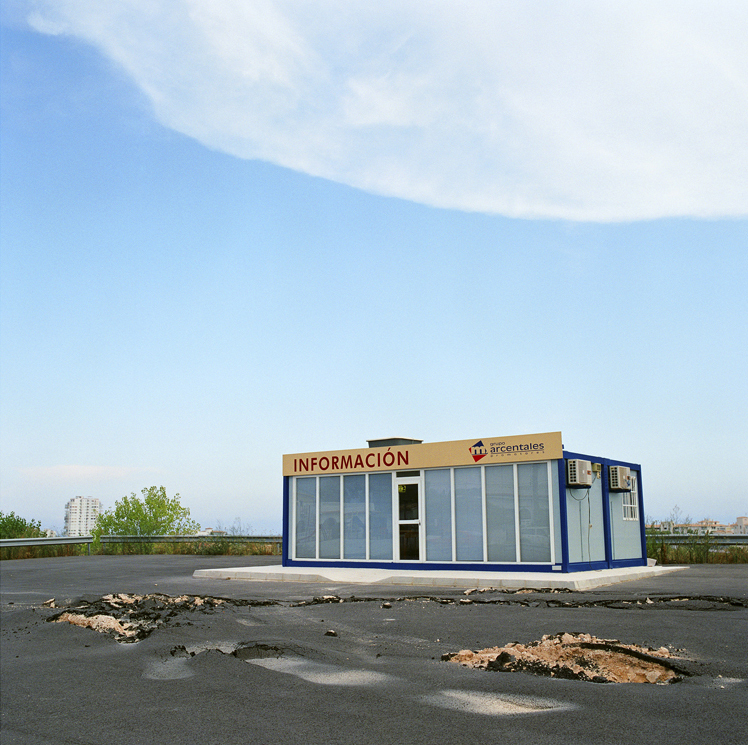 This interview focuses on his new photography book Anonymization, released yesterday in the United States by Kehrer Verlag, which addresses the international exportation of the Los Angeles-style model of urban development. It compiles images from various countries taken over more than ten years. His award winning documentaries, which address many of the same issues treated in Anonymization, have been shown at festivals around the world. Anonymization is a carbon neutral print production and has a Facebook page. fototazo: You worked on this project for a relatively long time – ten years. What kind of advantages and challenges did working on such a longitudinal project present? Was it hard to maintain visual consistency or to work with a continuing and fluid theme? Robert Harding Pittman: It has been even more than ten years since I began this project. One of the advantages of following a topic over such a long time period is that you are more likely to observe changes and thus a narrative can develop. The scope of the project also developed over time. When I first began this I was only photographing in Los Angeles and Las Vegas. Then I had a Fulbright Grant to make a documentary film, Concrete Coast, about the urbanization of the Spanish Mediterranean coast, and also photographed in parallel. When I got there I was shocked to see how similar the designs were to those of the new L.A. developments that I had been photographing. It was only later, in part thanks to curator Celina Lunsford, that I decided to make a global project and a book. Thus the Spanish and US-Southwest projects were integrated into Anonymization. The challenge was to not repeat myself photographically, how to create variety in my photos, in a built landscape that is very similar all over the world. The objective is to show the monotony in the built environment, but at the same time I did not want to make the project and its pictures boring. I think also being a filmmaker helps me in thinking of the edit and the story and also with such a simple thing as “coverage”- photographing something from various points of view. I take a lot of pictures until I get one that I like! I used the same camera (Hasselblad) and film the whole time, which I think helped in maintaining visual consistency. Since I began the project, digital has become the predominant photographic medium, and film is becoming harder and harder to find. Also over the years, following September 11th, the paranoia of cameras has increased. f: How much do you involve yourself with people connected with the places you photograph – residents, people whose land has been seized, developers and others? RHP: Some of the places that I photographed I also made documentary films about, such as "Oak #419" in Los Angeles, about a tree-sit protest to stop a highway for a new 20,000 house development, and "Concrete Coast" about the Spanish Mediterranean coast. I spent much time getting to know the subjects of my films who were facing loss due to urban sprawl. People had indeed lost their land. I also met politicians, developers and protestors in these projects. In the other places in which I photographed, I had less contact with local residents. Yet everywhere I went, the processes and the feelings of the people who were impacted, were very similar. f: Do you get access officially to the spaces you work with or do you photograph, um, less officially? 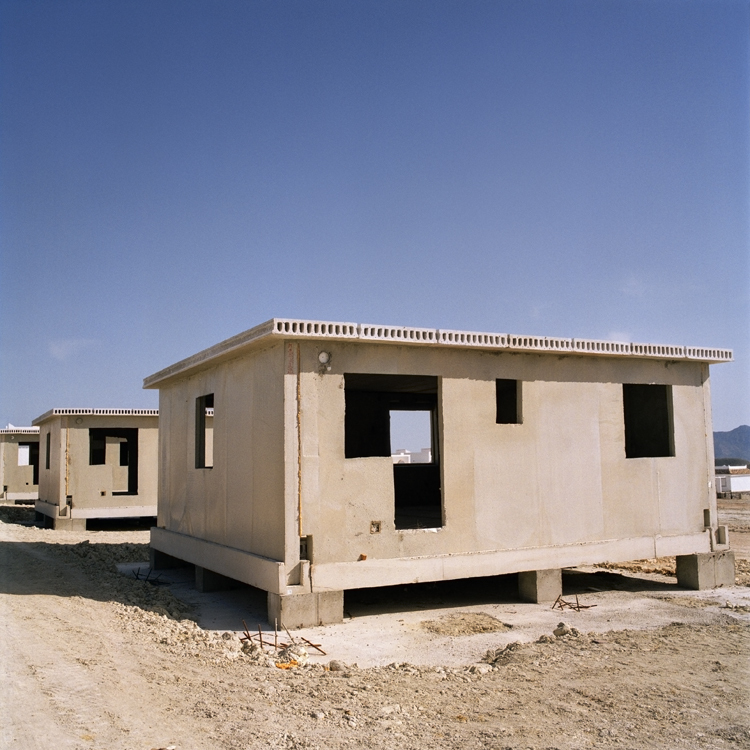 © Robert Harding Pittman, Camposol urbanization | Murcia, Spain. f: In the series statement you talk about the exportation of an L.A.-style sprawl to the rest of the world – massive freeways, parking lots, shopping malls and master-planned communities. Why do you think that this particular US-urban vision has been so popular as an export, as opposed to say, a New York City-style model with a more vertical presence? RHP: I think in large part it is Hollywood which has popularized and exported L.A. style sprawl. The palm trees, green golf courses, the big driveway with the three-car garage, are all symbols of luxury, well-being and leisure – living the "good life." Having a single-family house with a yard, and not a New York apartment, is the "American Dream" for most people. It seems that Hollywood has exported this "American Dream" in many ways. Yet my experience with living this way in L.A., is that everyday life, for example being stuck in traffic when you just want to buy some bread, which we usually do not see in the movies, is not at all glamorous. As the photographs in this book suggest, it is questionable for anyone, whether in the US or any other country, to choose a form of development that ignores local climate, local culture, and local building traditions to create places that have no identifiable character and don’t even represent real places in the US, much less other countries. It is doubly ironic – and sad – to think that Russians, Brazilians, Spaniards and Emiratis have been rushing to replicate seemingly glamorous and progressive models of growth that have actually been failing in the US and promise the same problems for their countries. © Robert Harding Pittman, Pangyo New Town development | Seoul, South Korea. f: Is there much variation to how the L.A. vision is applied locally in the places you photographed? What did you find to be universal and what particular about the implementation of this model globally? RHP: The place that I photographed that was most different from the rest in its implementation of this L.A. model was South Korea. In all of the other countries that I photographed, and in the West in general, the idea of a luxury suburb is to have a single-family house surrounded by a yard and to have a golf course nearby. In South Korea most people desire to live in a high-rise apartment. It is considered to be a symbol of status, luxury and modernity to live in a large master-planned complex consisting of multiple high-rise apartment buildings with leisure facilities. Often these towers are surrounded by golf courses as well. In all of places that I photographed, developers almost always feel that they need to build a golf course in their development in order to attract homebuyers. Even though many residents do not play golf, it provides them with a feeling of luxury, leisure and well-being, just as does the palm tree. Not only is the green golf course crucial, but so is the green lawn around one’s house, even if one lives in a desert. Obviously water problems are thus also universal in sprawl built in sunny, arid climates, where much of the building has occurred in the recent future. The other common element to sprawl all over the world is the dependency on the car and the pollution, the lack of social interaction and the alienation that this creates. Also it results in that those who cannot drive, the youth and many elderly, become immobile. Collectively, Americans spent nearly 500,000 years stuck in traffic in 2007 – nearly 4.2 billion hours… the nation’s most congested area is greater Los Angeles, where travelers spend an average of 70 hours per year in traffic, wasting 53 gallons of fuel. © Robert Harding Pittman, Blue Diamond | Las Vegas, USA. f: What have you learned while making this project about the relationships between the physical and social transformations of a society? How much does the creation of an environment shape the people that live in it? And how much does the nature of a society shape decisions on how to form their physical surroundings? RHP: I do feel that culture and the physical environment are inextricably linked. I also feel that many people, especially those who make the decisions for most of us, do not see the world this way. They separate us humans from the environment. This is a problem. We are all a part of nature and what we do affects our planet and what happens with the planet affects us. Just think of hurricane Sandy and most would agree that its unprecedented strength stems from global warming. 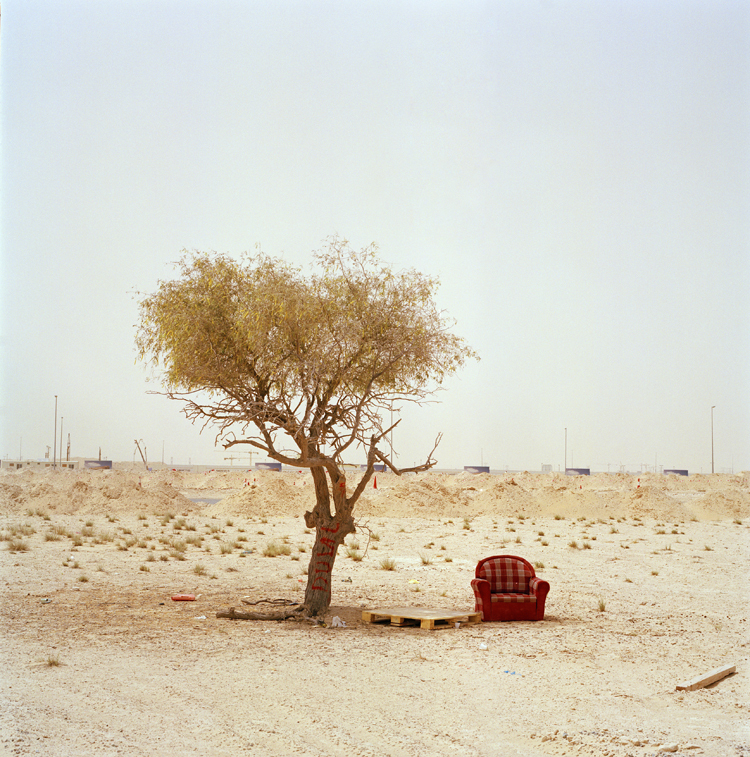 © Robert Harding Pittman, Dubai, UAE. f: Do you think that the real estate crash has lead to a reassessment of the L.A.-style model? How would you describe the changes in urban development and environmental policy generally during the ten years you worked on Anonymization? RHP: When I began the project in the late 1990s and early 2000s much of the world was in a construction boom. By the end of the project most cranes have come to a screeching hault. I do feel that more and more people have over this time become aware of the environmental, social, cultural and economic problems of this kind of unbridled development. In the USA there are more and more people trying to do something about and against urban sprawl, such as the architect Galina Tachieva who wrote an essay for my book. In Spain where this development model is very new, the protest against the massive urbanization that occurred, also grew over the years. At the height of the construction boom in Spain, approximately 2 hectares of land were being urbanized per hour. The speculation led to such high real estate prices that a youth movement formed to protest the prohibitive cost of housing. Many people have realized that basing the economy mainly on construction has been an economic disaster for the country. Yet more of the same types of large construction projects are still being planned. So I am not sure if we as a global society will learn from this crisis or not, which is a missed opportunity. It seems that quick short-term profits are still the dominant catalyst of our society and economy. 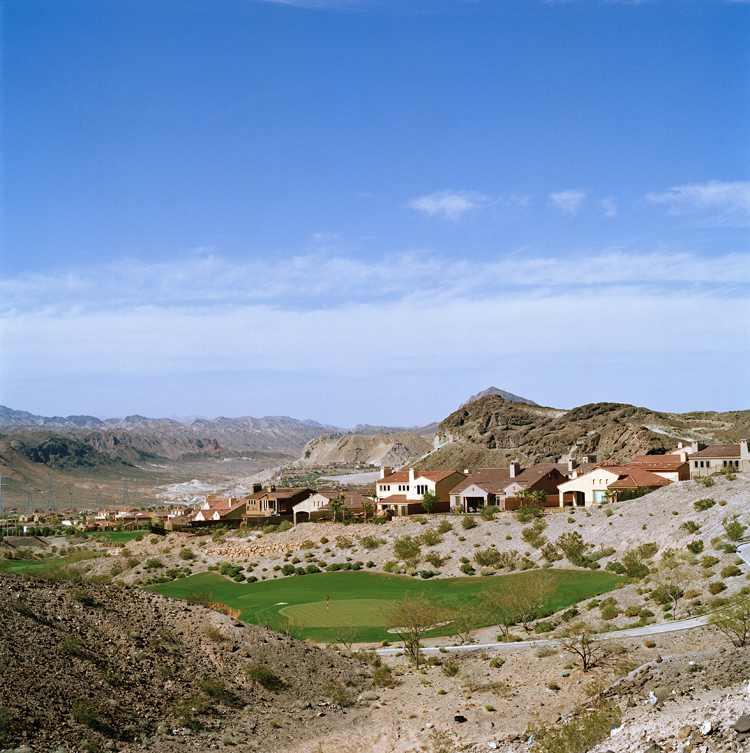 © Robert Harding Pittman, Lake Las Vegas Resort | Las Vegas, USA. f: Photographer Greg Girard said when we talked with him about his project Phantom Shanghai: "I found that by photographing not the people, but the spaces, it revealed as much if not more about how people lived." Do you think that statement applies to your work? RHP: I very much agree with this statement. Anonymization shows how we treat, and mistreat the land and our environment. Fossil fuel is the most powerful substance on the planet, and one proof – as these pictures make clear – is the way it’s allowed, and then enforced, a homogenization of the earth’s physical spaces. Look at these remarkable images and see what happens when you can pour a ribbon of asphalt anywhere regardless of terrain, build a sealed dwelling or office or store anywhere regardless of climate, and pump some irrigation water anywhere. You end up, anywhere people can afford that fossil fuel, with the world depicted here, endlessly uniform and essentially anonymous, without anything to distinguish one place from another. It’s all golf and atrium and cul de sac. © Robert Harding Pittman, Navarino Bay Golf Resort | Peloponnese Peninsula, Greece. f: How much do your images and the book have an agenda against the model of development they portray? RHP: The project, the images, the book and the exhibition indeed are critical of the model of development they are portraying. I will explain my point of view. When I introduce the project I give an analogy. Let’s step back for a moment and travel to the Amazon Rainforest and think of the indigenous cultures that have evolved with this environment. When we alter this environment, when we chop down the trees, the cultures are also radically altered or even disappear. Anonymization is about the cloning of the homogeneous model of the master-planned community, freeways, shopping malls and golf courses across the world. These places are built without any respect for the local environment or culture. The core message I want to get out is that with this way of building and living without respect for the earth, we are destroying our environment, our cultures and in the end ourselves. We are cutting off our roots that connect us to the planet. 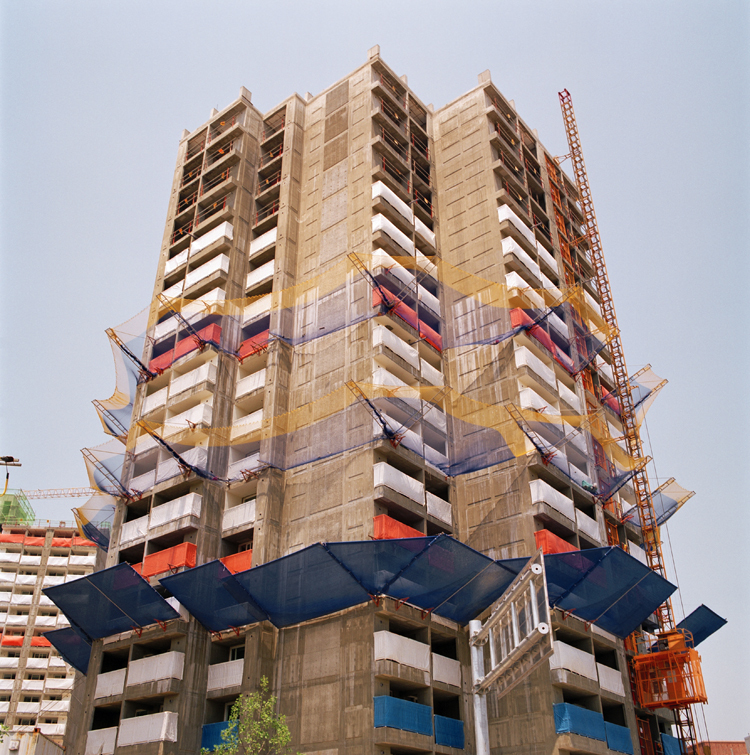 © Robert Harding Pittman, Real estate office (abandoned) | Benidorm, Spain. f: A straight question: what makes a good landscape photograph? RHP: The divine moment, "the decisive moment" as Cartier-Bresson called it, when everything comes together - the sky, the light, the place, its colors, the photographer. One needs to have one's eyes, mind and heart open in order to be receptive to this. It does not happen that often, but when it does it is very gratifying and thrilling. It seems that everything comes together for 1/125th of a second. 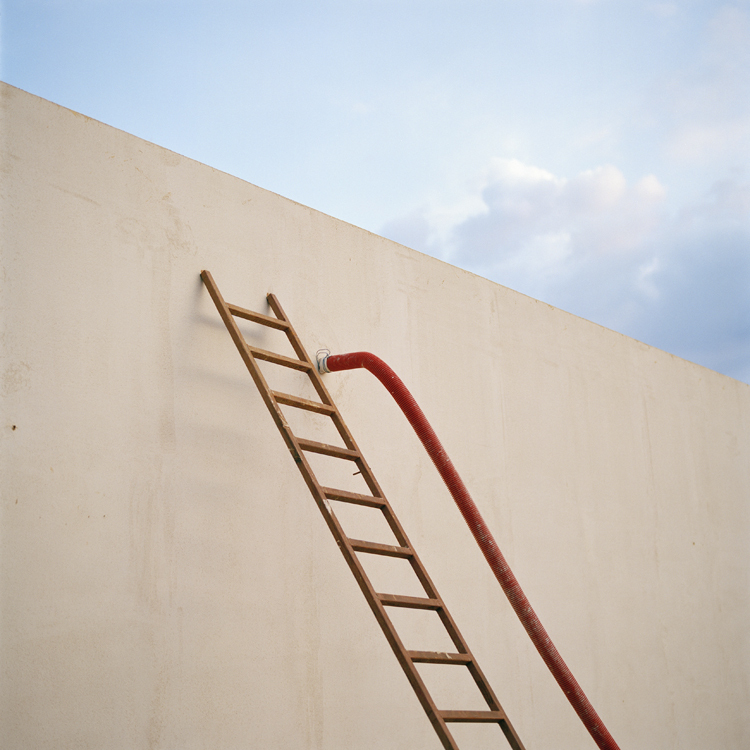 f: So many people are looking to publish their work as a book – what steps did you go through to get Anonymization successfully published with Kehrer? What would you recommend to other photographers about the publishing process having gone through it? RHP: Perseverance and patience are what I most recommend. It has been a very long but rewarding process. The collaboration with Kehrer Verlag is a great creative pleasure. I feel it is important to know more or less how you would like your book to look like when you start working with the publisher, but then I also feel it is equally important to be open to their input and vast experience. Collaboration can only make the work stronger and ideally more enjoyable. Making a book is rewarding but also daunting, not only because of the vast amounts of money, time and energy involved, but also because the book is more permanent than you are. It was not easy getting to the point where one can say "it’s finished." 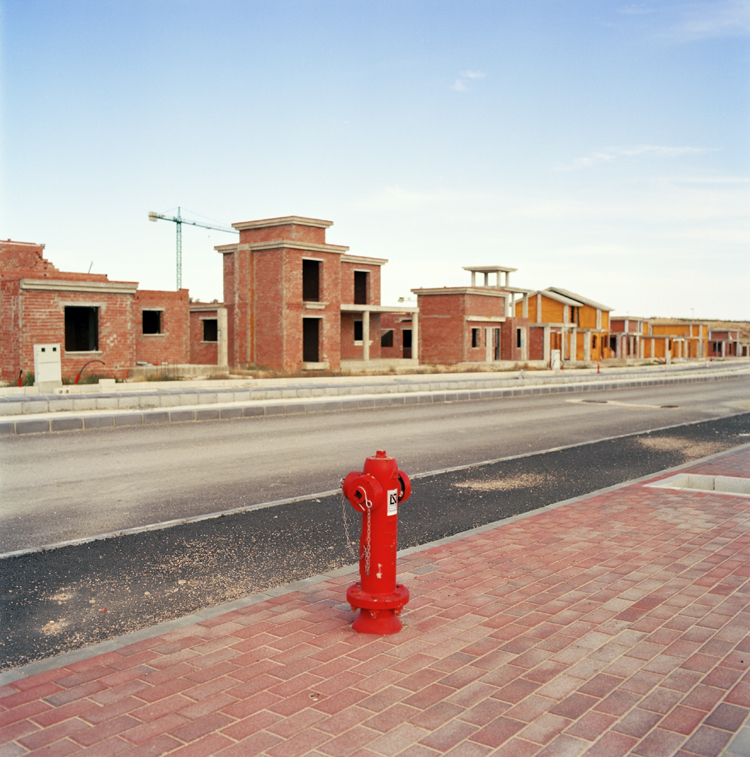 © Robert Harding Pittman, Tercia Real master-planned community (abandoned) | Murcia, Spain. f: Has there been a notable difference in how the images have been received in the US and internationally? RHP: People from different countries that have seen the work, seem to relate to the images well, yet some have more personal experience with and are more aware of the issues behind the images than others. In the US when I use the word "urban sprawl" many people, especially those living in the Southwest, not only immediately know what I am talking about, but they are also aware of many of the problems with sprawl. In other countries and languages this word does not even exist, as this phenomenon either does not exist or is a very new trend. As people have not yet experienced the problems they are less likely to be aware of them. One of the core ideas behind this project is to create awareness so that similar mistakes will not be repeated in other regions of the world. f: Finally, what’s next for you Robert? RHP: I am working on a new photography project, Aftermath (working title) which is in many ways the sequel to Anonymization. Anonymization is about the construction boom which then ends in the bust. 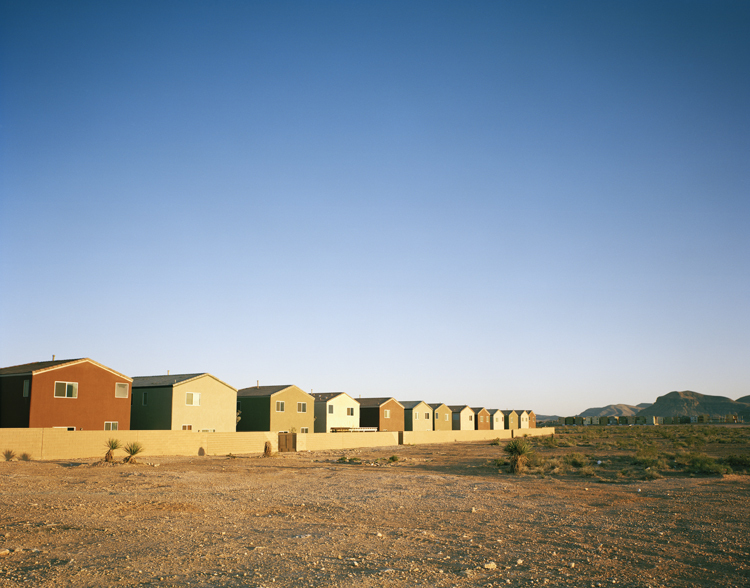 Aftermath is about the resulting abandoned master-planned community construction sites, "ghost developments," which have fallen victim to the economic crisis. For some time I have also been working on a new documentary film EnergyWorld – From under our feet which portrays victims of the extraction of fossil fuels all over the world, for example people who have lost their village for an open-pit coal mine in Germany. The film also presents sustainable alternatives to fossil fuels. Actor and activist Martin Sheen will be in the film. But my main focus right now is still on the Anonymization book and exhibition project. It was a big challenge to finish the design and publication of the book. But this is only half of the whole process. Now an even greater challenge is how to get the book, the exhibition and the message out into the world. Obviously, all of this hard work only makes sense if people see it. I am very grateful to you Tom for giving me this opportunity to connect with your readers – thank you very much! I am also happy to receive comments and questions from your readers. Join the Anonymization page on Facebook (with photos of the production process etc.) or email me at RHP@RHPimages.com. 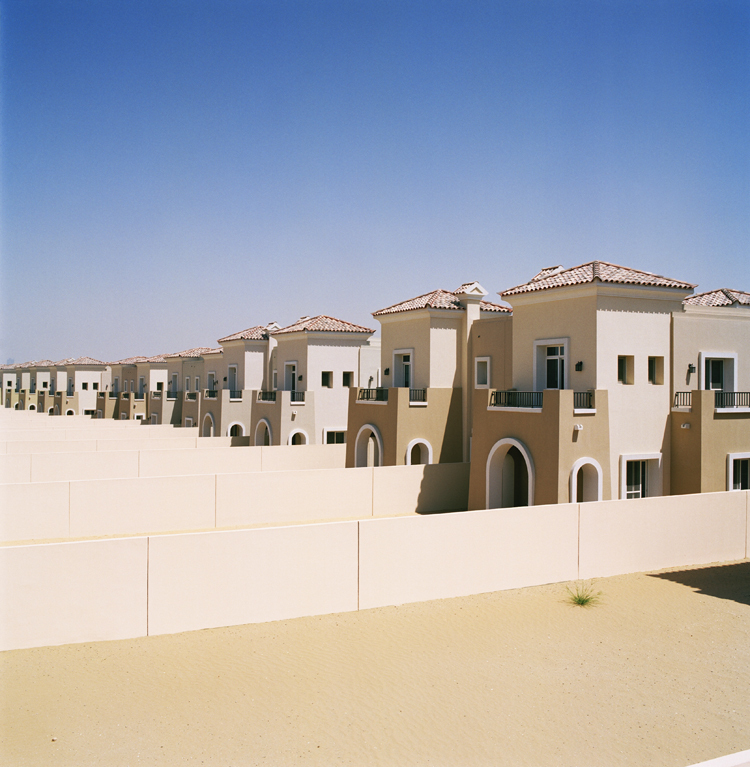 © Robert Harding Pittman, Albari master-planned community | Dubai, UAE.